The Living Housing Fair is a great opportunity for you to explore living options on and off campus and meet local accredited landlords. 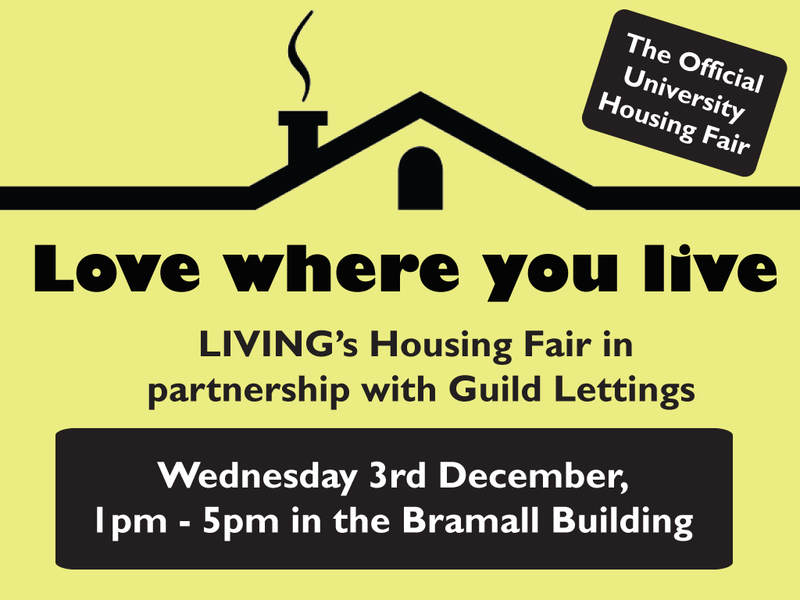 Living in partnership with Guild Lettings are inviting accredited landlords and lettings agents onto campus on Wednesday 3 December in the Bramall Building, 1pm-5pm, to showcase their portfolio of properties in the local area and invite you to join us for the afternoon to look at what they have to offer. We will also have experienced staff on hand to offer you house hunting advice. We look forward to seeing you at the fair and helping you find your perfect home.